The 2004 Boston Red Sox were so star-studded that it was difficult to identify which batter provided the biggest season. Manny Ramirez hit .308 with 43 home runs, 44 doubles and 130 runs batted in. That was certainly a great season yet look at the numbers fellow slugger David Ortiz posted - .301 batting average, 41 homers, 47 doubles, 139 RBIs. Adding to the potent offense, Johnny Damon hit .304 with 94 RBIs and had team-highs of 123 runs scored and 19 stolen bases. An embarrassment of riches, indeed. On the mound, five starters posted double-digit win totals, led by Curt Schilling (21-6) and Pedro Martinez (16-9). After sweeping the Anaheim Angels in the AL Division Series, the Red Sox found themselves down 0-3 to the New York Yankees in the ALCS. 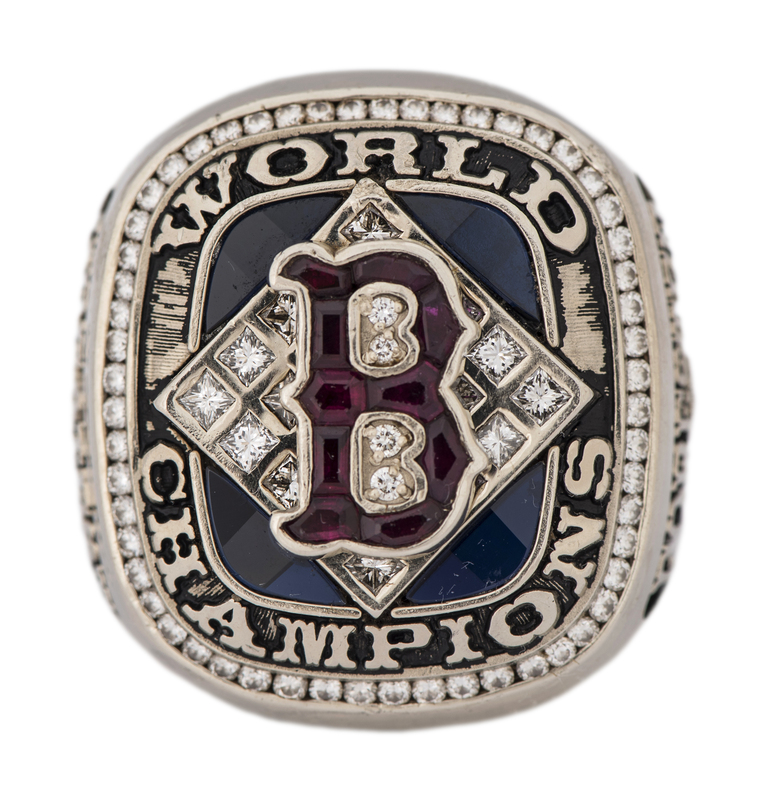 But Boston would battle back, historically wining the next four games to capture the pennant. Riding that momentum, the Red Sox drubbed the St. Louis Cardinals in a World Series sweep. 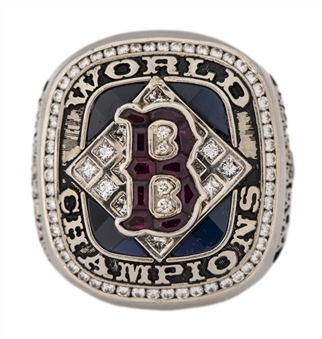 Offered here is a Jostens 18K gold 2004 Boston Red Sox World Series ring, featuring a dazzling array of diamonds and red and blue stones. 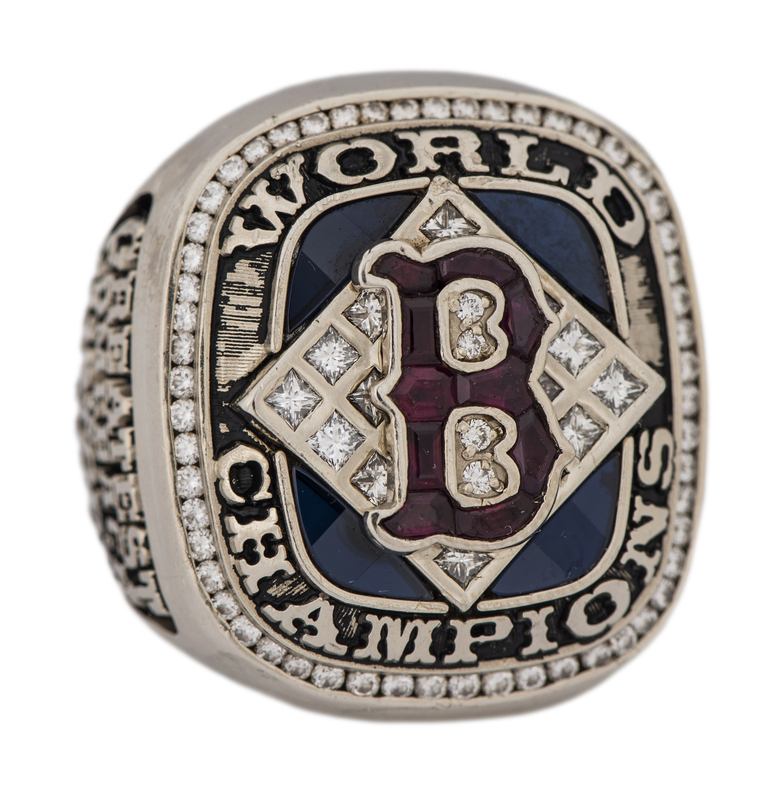 The Red Sox “B” logo is featured prominently as “WORLD CHAMPIONS” reads in relief lettering. 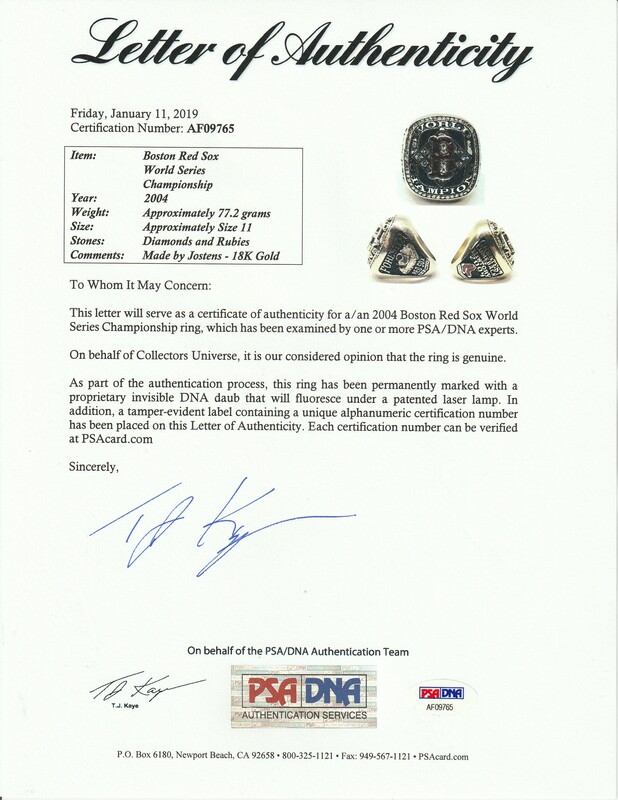 One side is highlighted by an image of the Commissioner’s Trophy set in the middle of Fenway Park. 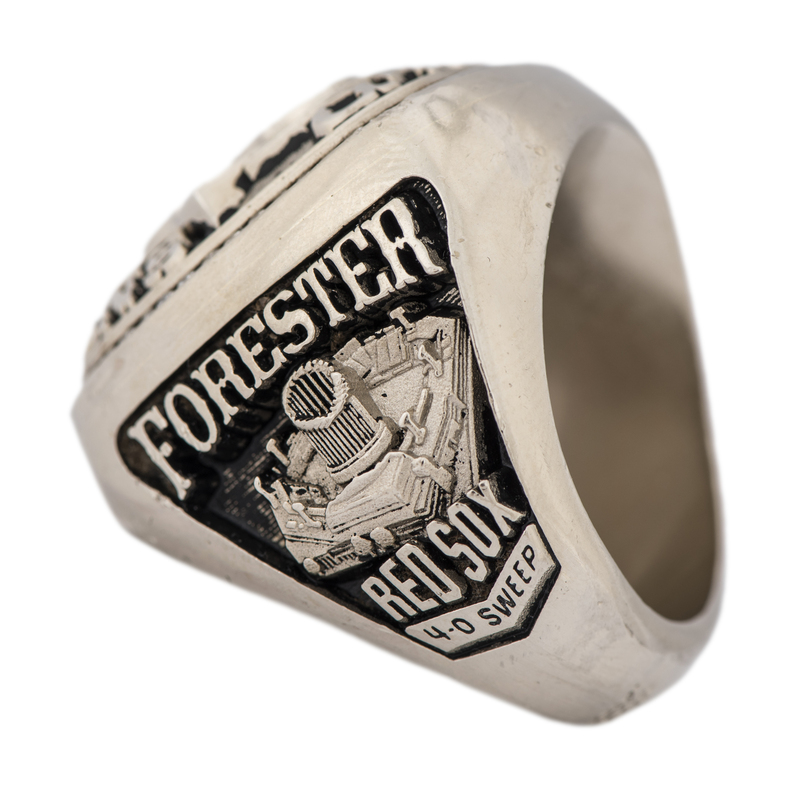 The name “FORESTER” appears above with “RED SOX 4-0 SWEEP” below. 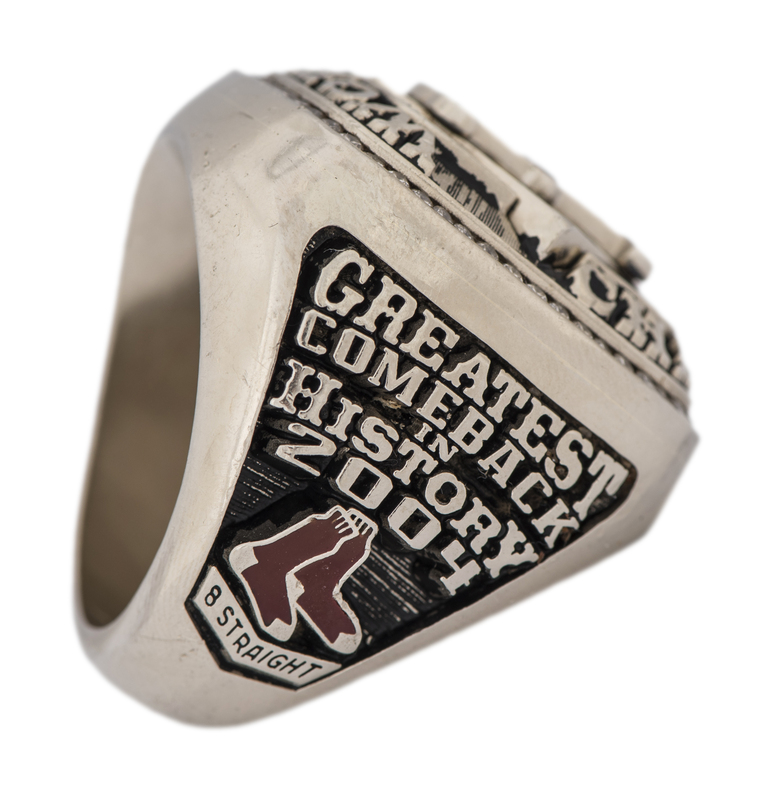 “GREATEST COMEBACK IN HISTORY 2004” is shown above a Red Sox team logo on the ring’s opposite side, with “8 STRAIGHT” at the bottom. 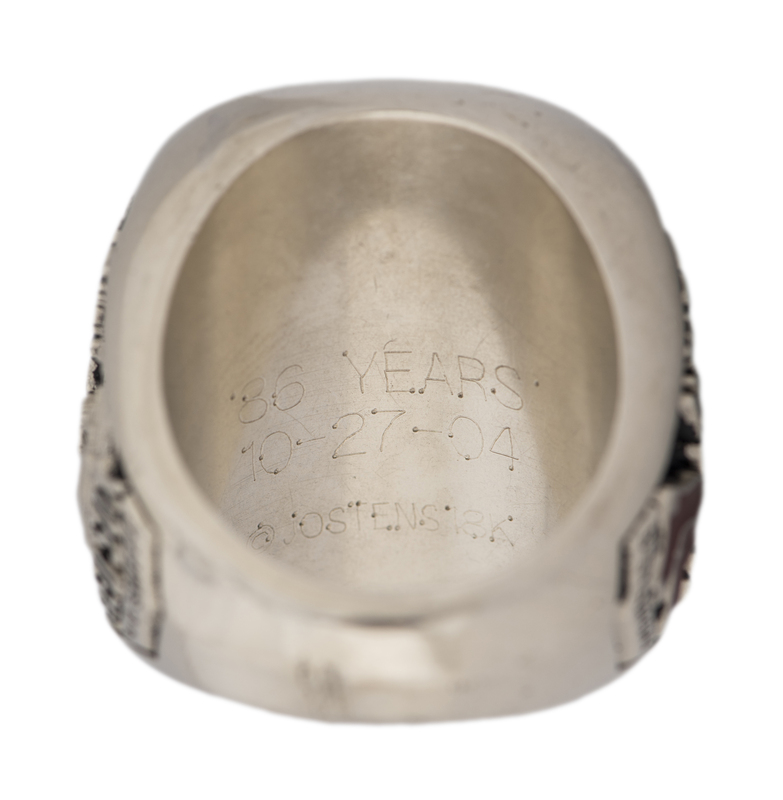 Engraved on the inside of the band is “86 YEARS 10-27-04” as well as the ©JOSTENS 18K mark. This ring is an approximate size 11 and weighs approximately 77.1 grams. 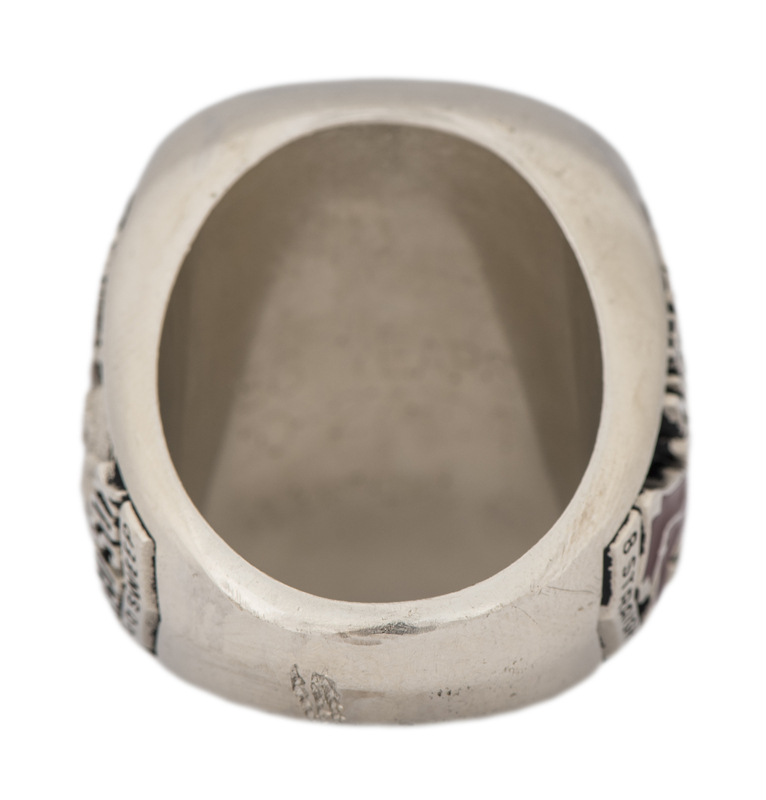 This ring comes with a LOA from PSA/DNA (AF9765).